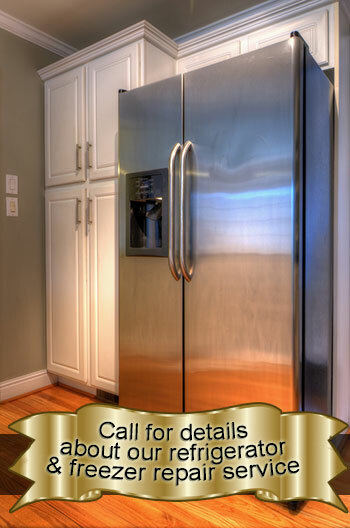 Big John’s Appliance Service offers fast and friendly repair of your refrigerators and freezers in the Minneapolis, MN and St. Paul, MN areas. As a second generation business we are committed to the excellence that has earned us the reputation as one of the best kitchen range and oven service specialists in the area. We have provided superior service to our customers and have assisted them in making sure that repairs are completed to their satisfaction since 1954. Diagnosis – Call and describe the problem. Talk about possible causes. Schedule an appointment. Flat rate estimate. Freezer does not make ice. Brands serviced – servicing most major brands including Whirlpool, Kenmore, Maytag, GE, Kitchen-Aid, and Frigidaire. Our experienced staff is dedicated to providing exceptional service for all of our customers, which is why we provide a 1 year guarantee on our repairs. Contact Big John’s Appliance Service today at 612-722-0151 in Minneapolis, MN and 651-644-1875 in St. Paul, MN, or browse our website for more information regarding Washer and Dryer Service or Range and Oven Service.